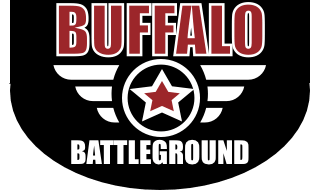 Buffalo Battleground offers a revolutionary laser tag experience. 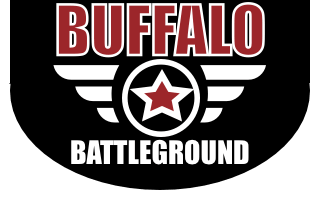 Unlike traditional laser tag which consists of space age phazers, neon bunkers and a single game mode played over and over, our laser tag mimics modern video games that kids and adults already love; such as Call Of Duty & Battlefield. Players make their way through our multi-level 22,000 sq ft indoor arena completing fun mission objectives. All players receive a tactical designed battle rifle with a scope, head sensor and a team color. Each rifle weighs less than 4lbs and comes with a tactical sling making it light enough for players of all ages. The battle rifle also features multiple weapon types (shotguns, snipers, heavy machine guns and more). Players will experience the realistic rumble in the grip when hit or firing. Our equipment is durable and light enough for players of almost all ages. Players must be at least 42" tall to play. Listen to what people are saying! "Great Experience and Lots of Fun!!" "My husband and son cannot wait to go back". "Staff very nice, kids had a blast." "The kids said this place was WAY better than the other local place..."
"Just a wonderful experience, lots of fun and exercise!!!!!" "I took my son and his 3 friends. They had a blast ! Even though it was just the 4 of them battling, they had fun ! The facility is neat ! There is a bar area. There are a few tables to hang out and watch the battle from."